Paul has worked at Latics since 2008. He’s a Grade A instructor (the highest possible grade) and he uses a lot of new coaching techniques which are helping to get his students through their test even quicker! You will feel calm and relaxed learning to drive with Paul, he’s very supportive and encouraging! One thing I would invent: The perfect hangover cure! 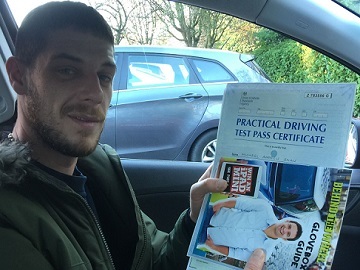 Paul gives driving lessons in Oldham, Moorside, Chadderton, Denshaw, Derker, Lees, Royton, Delph, Greenfield, Sholver, Springhead, Uppermill, Waterhead, Scouthead, Shaw, Dobcross and Diggle. 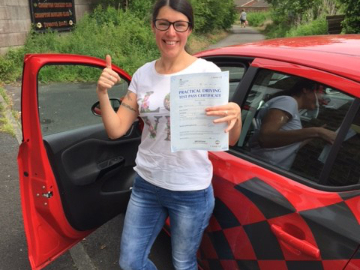 “Before starting with Paul I had 2 previous driving instructors who let me down and I gave up driving both times. Paul was recommended to me by many people. I had to be on his waiting list for a few months, but I chose to wait because I only heard good feedback about him. Once I started, Paul was always on time and never once missed a lesson. He also accommodated by doing evening lessons around my long working hours – which other instructors wouldn’t do. 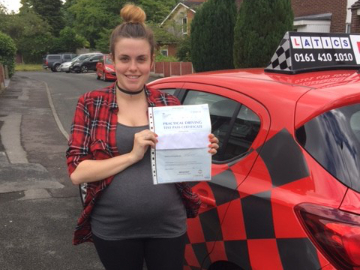 “Paul is an amazing instructor and I couldn’t have passed without him. He really helped with my confidence, I struggled with my nerves and he was always so supportive, encouraging and calm which helped me overcome them. He was extremely patient with me and would always go over any issues I had, thinking of different methods I could try too. He explained everything clearly and was so informative. “I would like nominate Paul Mills for Instructor of the month. I want to say a huge thank you to Paul Mills for being a fantastic instructor! After failing my test whilst learning elsewhere this had really knocked my confidence and Paul was exactly who I needed to help me re-build and re-gain this. He is friendly, extremely patient and amazing at explaining everything, not just telling you but helping you to understand and recognise your mistakes so you don’t make them again. 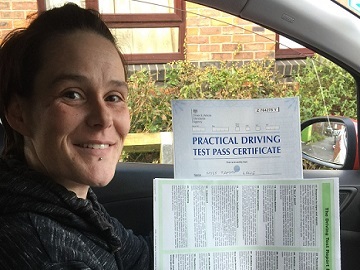 He doesn’t just teach you how to pass a test, he helps you to become a conscientious, forward-thinking driver who will be respected on the roads and can be confident and comfortable driving on their own in the real world after passing. 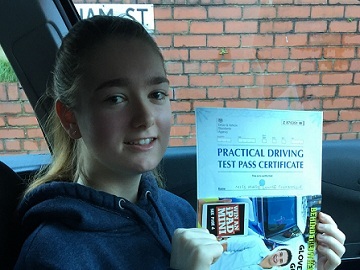 “When I first booked my driving lessons I was extremely nervous as I’d been putting it off for years, but as soon as I started my first lesson Paul put me at ease straight away explaining things thoroughly, but in an easy to understand manner. I found Paul to be very patient, understanding and encouraging. When it came to the day of my test, I went into it very calm and collected and passed with only one minor. Just 3 faults & 1st time! 1st time with only 1 minor! Well done Mia only 2 faults! 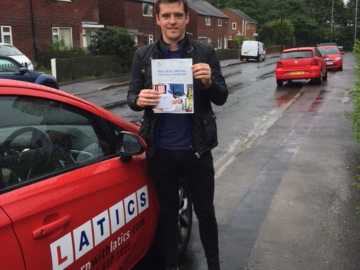 Fab 1st time pass Curtis! 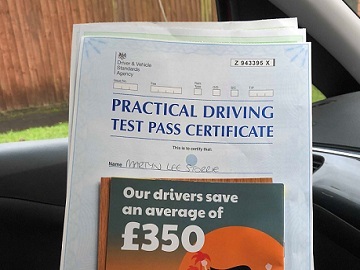 Amazing 1st time pass Aaron! 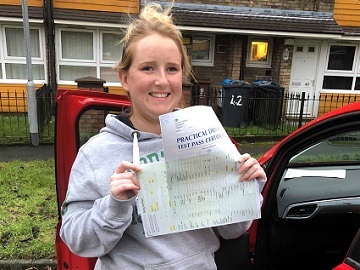 Fantastic Chelssi 1st time pass! Great 1st time pass Jake! Brill 1st time pass Brandon!